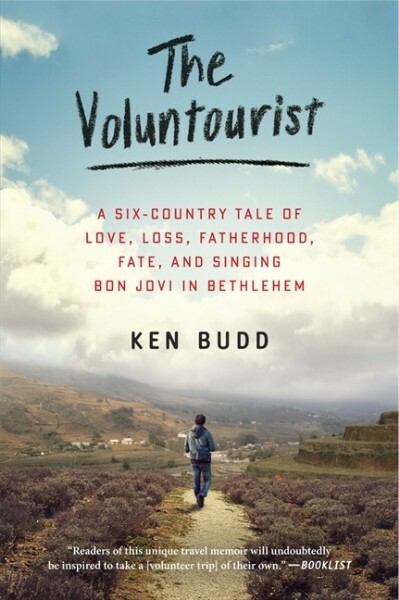 Ken Budd is the author of the memoir The Voluntourist: A Six-Country Tale of Love, Loss, Fatherhood, Fate, and Singing Bon Jovi in Bethlehem (Morrow Avon), the story of his quest to fight grief with generosity, and to determine if we live better when we live for others -- even if it's only two weeks at a time. An experienced speaker, Budd has made over 40 appearances on TV and radio, including NBC's Today Show, CBS's The Early Show, CNBC's Power Lunch and Street Signs, and ABC News Now, plus Martha Stewart Living Radio, Bloomberg Radio, and The Joan Hamburg Show. Budd has spoken at the AARP member event, the Alaska Media Roadshow, the Educational Travel Conference, Johns Hopkins University, the University of Maryland, and George Mason University. He has also spoken at writers' conferences such as Travel Classics and Writers & Editors/One-on-One, and at sessions hosted by the American Society of Journalists and Authors, the Society of American Travel Writers, and the Society of National Association Publications. His speeches covering everything from global volunteering to travel to living a fulfilling life resonate with a broad range of audiences. Budd's journey as a global volunteer began in 2005, when his father died from a heart attack after 18 holes of golf. By that point, Budd was already questioning his life: His 40th birthday was looming, and it seemed he'd never be a father himself. As grieving friends wrote to say how his father had changed their lives, Budd's own life took on a new urgency. He compared his achievements with those of his father -- his dad rose from poverty, he influenced the lives of countless colleagues and friends -- and found himself lacking. Budd wondered: What is my purpose? What am I doing that matters? Determined to help others, Budd volunteered around the world, working in New Orleans nine months after Hurricane Katrina, in Costa Rica as an English teacher, in China at a special needs school, in Ecuador collecting data for climate change researchers, in Palestine assisting refugees, and in Kenya caring for orphans at a children's home. Budd has written for such publications as The Washington Post, Smithsonian, The Miami Herald, Stuff, McSweeney's, Might, and Worldview; his work as editor of AARP The Magazine's Navigator section was nominated for a National Magazine Award in 2005. 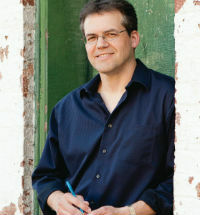 He has also won honors from the American Society of Association Executives and the Society of National Association Publications, and in 2010 was named George Mason University's English Alumnus of the Year. A lifelong Virginian, Budd and his wife live near Fairfax. He holds degrees in English from George Mason University and is one of the founders of the university's Robert M. Budd scholarship endowment. "Perhaps the most difficult audience is a room of one's peers. This June in Cardiff, Ken Budd keynoted Travel Classics Wales, a conference for some 60 top magazine editors and writers. He spoke without notes, without a podium, delivering his speech in an eloquent and conversational way. During it all, you could have heard a pin drop. After rousing applause, a few of the guests couldn't wait and pulled out their cell phones to buy Ken's book -- The Voluntourist, the same inspiring story, made even larger by the written word." "Ken Budd was funny, genuine and captivating. He inspired all those who attended his talk - most whom have been on several if not many medical missions serving much like himself. His story is motivating, honest and engaging. We all should be so lucky to have this opportunity, if not we can live vicariously through Ken and his journey." "Ken Budd visited the Tattered Cover to promote his memoir The Voluntourist. He attracted a healthy crowd and kept them thoroughly engaged with his dynamic and moving presentation. His talk generated a rich discussion with the audience." "The Voluntourist is one of my favorite books of the year. Ken Budd's gift for writing is exceeded only by his ability to tell his stories out loud. Our customers really enjoyed his friendly, engaging manner, and his ability to talk extemporaneously about his work. He keeps the presentation fresh -- his anecdotes are warm and funny and you feel like you're the first to hear them. We would welcome Ken back to the store to talk about any new writing, or even just about how his day is going. Ken makes you so comfortable -- you feel like you've invited him over for dinner, and boy does he have some good stories to share." "This is an extremely funny book. One of the best-written travel memoirs this reviewer has read in a long time." "This is a book that will change your life." "The Voluntourist is an entertaining, thought-provoking read. It is rich in detail and big on insight. Budd's descriptions of cross-cultural misunderstandings had me laughing out loud."